So apparently Tyler Bryant & The Shakedown are something of a big deal within the retro-rock scene, and for anyone who feels apprehensive about that statement, that’s a completely natural reaction. It feels like whenever a particularly young act harking back to the sound of classic rock comes around, those who tend to gravitate to that style always preemptively dub them the “saviours of the genre”, only to be replaced by the next lot with the exact same sound. At least with Tyler Bryant & The Shakedown though, there’s at least some justification behind the hype; Bryant himself has been heralded as some kind of guitar prodigy, touring with the likes of Jeff Beck, Joe Bonamassa and plenty of other significant names (as well as Smash Mouth…), while the band’s guitarist Graham Whitford just so happens to be the son of Aerosmith axeman Brad Whitford. As well as having the collective accolade of opening for Guns N’ Roses’ reunion tour and being chosen as the flagship act for Spinefarm Records’ new roots-rock imprint Snakefarm, there must be something there to justify to hype. And really, this is it? Another album of middle-of-the-road retro-rock that gets a slight leg up on the competition by having a bit more youthful energy, but largely sticks to the exact same hero worship as everyone who’s come before them? Judging by this album, it’s difficult to really see what all the fuss is about, and even if it does boil down to another case of industry executives jumping the gun to give literally anyone the validation of being fresh, new breakout stars, the limited output that this self-titled effort has to offer makes the whole process feel even more like a non-effort. And yes, that does leach down to Tyler Bryant & The Shakedown themselves, specifically in the way that this album throws individualism to the wayside in favour of the well-ploughed furrow of a copy-paste job of every faceless, post-Rival Sons classic rock band. And perhaps if that wasn’t so prominent, this album could actually go somewhere, because as it is, it’s not hard to see where the band go right. Weak And Weepin’ brings a strutting Aerosmith influence to the fore that certainly goes a long way, and the way that Manipulate Me is played to darker, minor tones gives that bit of edge that actually suits this band quite well. By far the best example though, is Ramblin’ Bones, dropping into a more sinister, eerie country-rock slither that the building layers of backing vocals and extra percussion accentuate for a real high point. If more of the album was in line with that sort of style, this could potentially be something that would warrant a kinder judgement, but for the vast majority of the time, Tyler Bryant & The Shakedown shackle themselves to the sort of flaccid, ageing blues-rock that’s immovably fixated on sounding like a ’70s throwback. And as becomes very evident very fast, that also means adopting a production style that swaps out any significant instrumentation definition for buzzed-out blocks of riff and bass that doesn’t even pretend to have aged well. As shamelessly dedicated to the past as Rival Sons are, they at least leave the grooves in to easily pick out; here, on tracks like Don’t Mind The Blood and especially slower moments like Jealous Me and parts of Aftershock, there’s barely a tune to pick out beyond instrumentation that clearly thinks that momentum is a frivolous amenity that doesn’t need to be there. And that’s probably the thing that annoys the most about this album; for as much as the technical skill of this band and especially their frontman have been their primary selling point, you’d be lucky if you pick out a moment that actually does justice to those claims. Odd moments like Heartland and Backfire are passable throwbacks in isolation, but in the context of an entire album resting on instrumentation that leaves a lot to be desired, and a vocalist who, in all honesty, doesn’t even come close to emulating the power of the acts that are clearly drawn from, it’s almost impossible to see why Tyler Bryant & The Shakedown have been singled out and elevated above so many others. There’s barely anything that’s unique here, and even what we do get is just unpleasant to listen to. Perhaps there could be something here with a bit of work and and introduction to sounds that have existed in the last forty years, but on this evidence Tyler Bryant & The Shakedown don’t give much incentive to keep tabs on them. 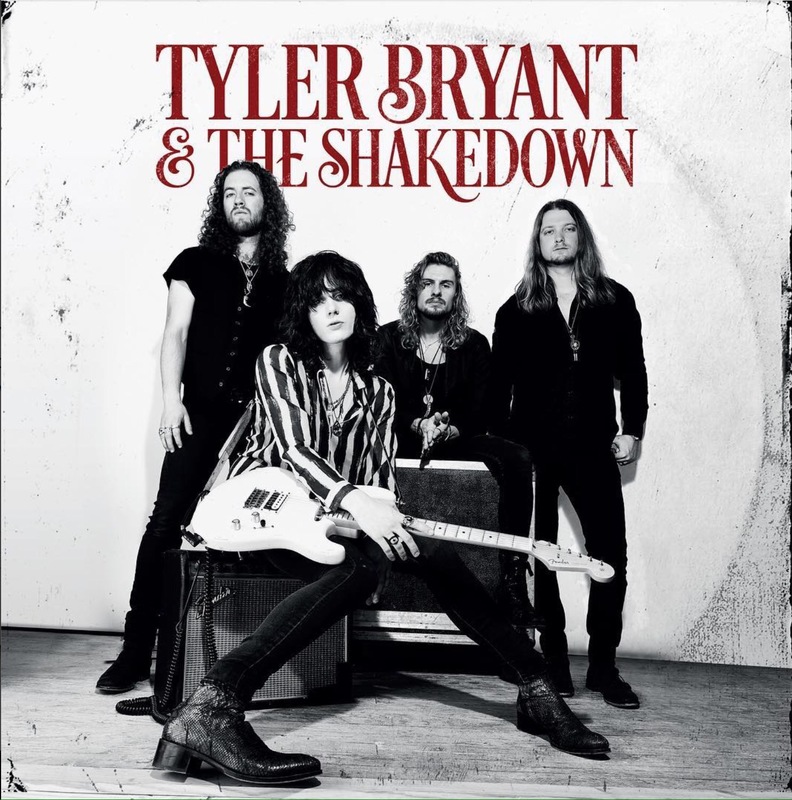 ‘Tyler Bryant & The Shakedown’ by Tyler Bryant & The Shakedown is out now on Snakefarm Records.